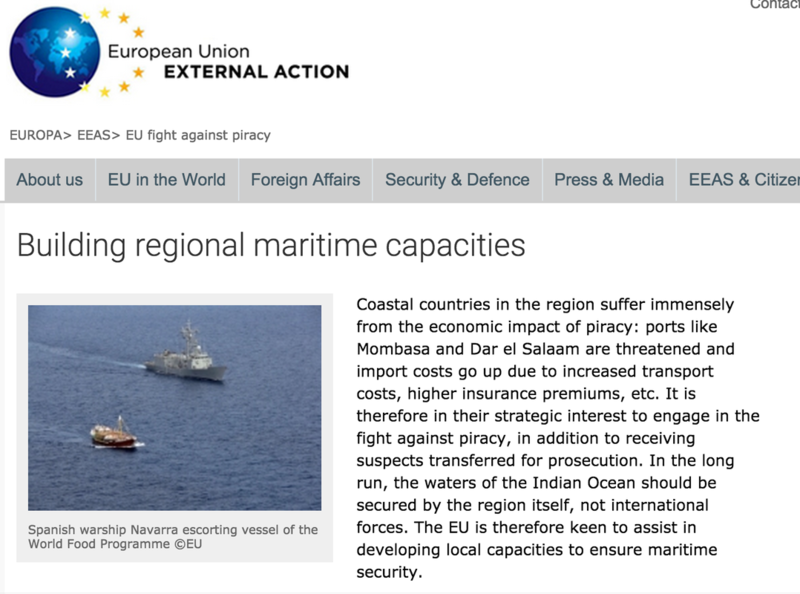 The EU as a global maritime security provider? The EU and maritime security - piracy also in the Malacca straits concerns us. Who will pay for maritime security in the future? US? Seen as a case or as an example of the EU comprehensive approach, maritime security is applied in the piracy context is truly fascinating topic. The amount of energy required to develop the cooperative framework necessary illustrates that the comprehensive approach is serious work. And it needs persistent efforts in order to stay relevant. Maritime security is a fundamental condition for globalization allowing not only for the peaceful exploitation of the high seas but also for trade. The costs for securing the high seas as well as a number of more narrow passages are largely borne by US taxpayers. The US maintains an overwhelming global presence including with a large fleet of aircraft carriers and submarines. China is increasingly challenging US presence and more and more attention is directed at security in Asian waters, essential also for European trade. Europe may be forced to pay more for maritime security in the future, not least responding to piracy and migrant smuggling. The awareness of these issues remain very low in Europe. And how should the EU respond? Through military means? Civilian coast guard efforts? Other means and policies? A nascent debate indeed. European Union Naval Fo. Operation Com. Rear Admiral (UH) Enrico. Rear Admiral (U. He joined the Italian N. Ensign in 1984. He reported to the crui. On 22 June, Today, the Council launched the EU naval operation against human smugglers and traffickers in the Mediterranean called "EUNAVFOR Med". Oct 15, 2014 ... Regional Maritime Security Capacity Building Mission in the Horn of .... complements a number of other EU actions including the two CSDP. Nov 26, 2013 ... The Council believes that the EU through CSDP and other .....Maritime Security Strategy including as regards CSDP, by the end of 2014. Moreover, piracy impacts on international trade and maritime security ... of the European Common Security and Defence Policy (CSDP) and in accordance with.